Erected ca. 1813. Artist's sketch ca. 1830s. (L.J.Burkholder collection.) 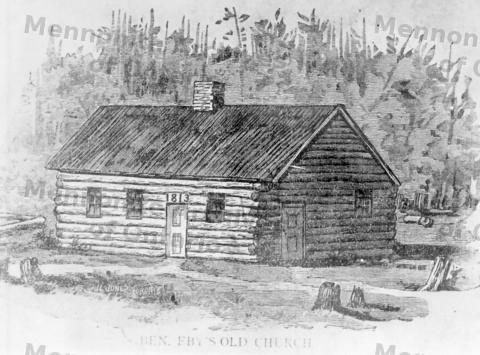 Benjamin Eby Log Meetinghouse.Written on image: "J. L. Jones. Ben. Eby's Old Church."